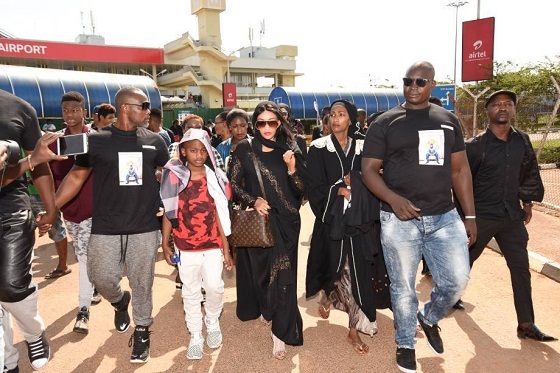 The body of Ivan Semwanga is now in the country. 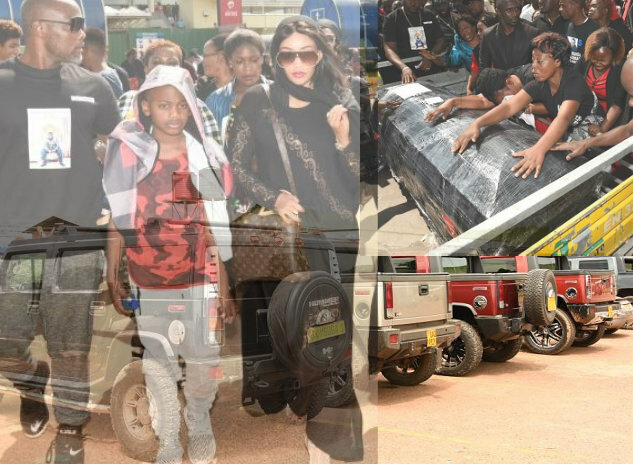 At about 3:00pm, the long convoy that comprised of Hummer pickups and other posh rides was making its way to Kampala past heavy traffic of mostly parents who were taking their children back to school. 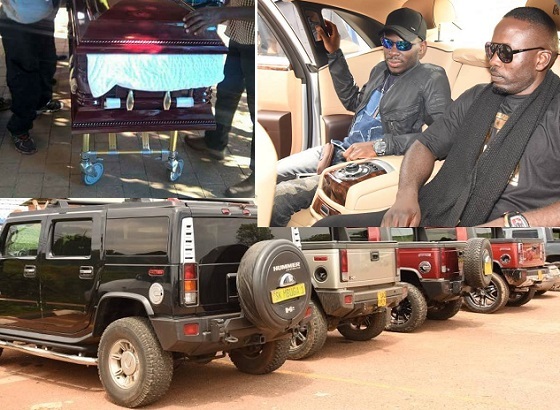 Ivan Semwanga's body was in a black A-Plus Mercedes-Benz hearse with a police vehicle ahead of the convoy to clear traffic as the Rich Gang President who lived a life of luxury was riding in a similar manner. The vehicles that formed a mile long convoy could easily be confused with the presidential motorcade, other vehicles were forced to give way as they moved fairly fast on a busy highway. 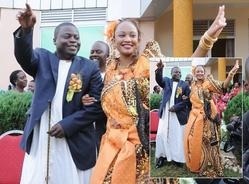 As a regular customer of South African Airways, the Rich Gang President was given a salute with a free airlift to Uganda as a token of appreciation. He was their best customer ever. Zari and Quincy, Ivan's last born were tightly guarded as Raphael and Pinto moved freely. She was clad in a black long outfit with a Louis Vuitton bag. 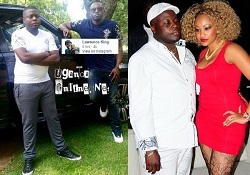 Inset is the casket bearing the remains of the fallen socialite, Ivan Semwanga. SK Mbuga in his Rolls Royce and ED Cheune, Ivan's best friend at the airport. Those were some of the vehicles in the convoy.